I am thinking of changing the blog name to 'my life in finland' since I want to share about some things in my life too in this blog. While I still blog about things I make, I can also share of what I do what I think. Winter has just begun here in Finland, I mean just because the snow has started only like two weeks ago. 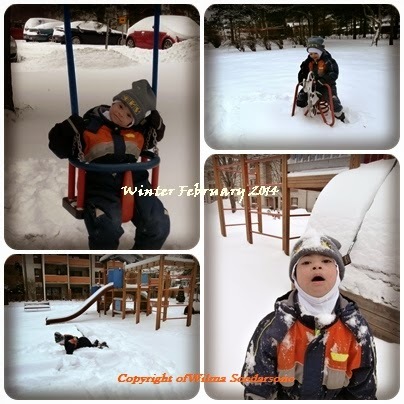 Today it is not that cold, when Mikael want to play on the swing outside, so I thought why not. have a wonderful winter everyone ..